Willy Wonka is a character full of contradictions. He's both a famous recluse and a consummate showman, a whimsical dreamer and a cynical realist. Such an eccentric figure could only be played by a singular performer: Gene Wilder. His personality defines Willy Wonka & the Chocolate Factory, animating Roald Dahl's classic fable with a twinkly-eyed melancholy perfect for the story of a poor little boy realizing his one chance to live out every child's fantasy. Much like the famous confectioner he portrayed, Wilder became a pop culture icon to several generations of viewers, and his passing in August 2016 was deeply felt by fans around the world. 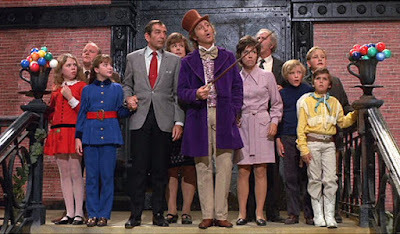 Come join us in a world of pure imagination and help us pay homage to the incomparable Gene Wilder as we revisit his most indelible role.